‘Content marketing’ is a buzzword taking the marketing world by storm. But how does it fit in to your larger marketing strategy? The idea behind content marketing is that prospects do a lot of research as part of the buying process, and seek out different information as they progress from stranger to paying customer. To win the business you have to give your prospects the right information at the right time. This way they come to trust you and see you as an expert, and are more likely to choose you when they’re ready to select a supplier. What’s new now, and why ‘content marketing’ has become so popular, is that people do a lot more research on their own, thanks to the internet. As a result, they’re a lot further into the buying process when they make actual contact with you. Thus, instead of having your actual salesman making your case from the beginning, you have to have content that acts as a virtual salesman, making prospects want to pick up the phone for that initial conversation. Publishing regular, valuable information on your website will give you a major advantage over competitors who only use their websites to talk about themselves. 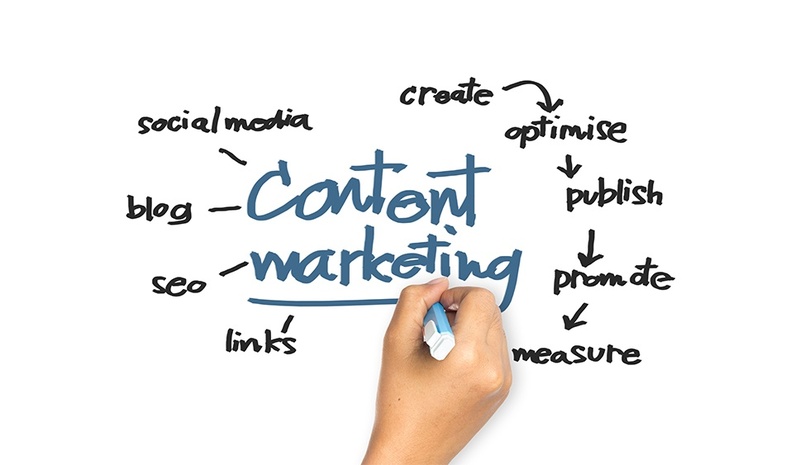 Content is therefore an element in any successful marketing strategy. Content marketing is about creating a virtual salesman, so you need to make sure prospects find your content. Look at what search terms your prospects use when doing online research about your industry and product or service. Then write blog posts, white papers, guides and news stories that have those keywords front and centre. Do you sell to different industries? Different job roles? Different geographies? Look at your contact databases or CRM system to identify who exactly your target customers are. Then you can write content aimed specifically at each one. Your content has more selling power when you address the specific pain points and specific questions each type of customer has. The goal is to get people to read your content, and take it into consideration as part of their decision making processes. So promote it as much as possible. Post links to your content in the social media platforms you use. And go beyond just ‘status’ posts. If you’re a member of a relevant LinkedIn group or participate in any industry-specific forums post the link there as well. It only takes a couple minutes, and it increases your reach exponentially. You get media coverage because the information you offer is newsworthy. Which means you have third party verification that people want to read about it at that moment in time. If you’ve placed a case study in a trade magazine or given a quote to a business publication it doesn’t take much effort to repurpose it for a blog post or article on your website. Sending out an email or letter campaign? Attending an exhibition or conference? You’re (hopefully) going to see more people visiting your website as a result. Give them a reason to spend more time on your site – and to come back – by offering information tied to the reason they’re on your site in the first place.